Understanding that one must watch the world to ascertain the trend even domestically is critical – this is what separates a domestic trader from a professional hedge fund manager. You simply have to know what is happening out there on all fronts. 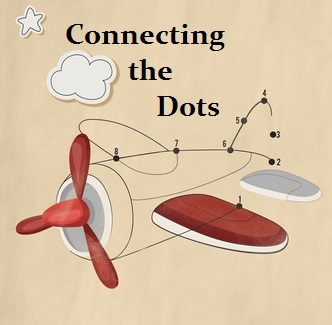 Connecting the dots allows you to see the full picture of what exactly you are dealing with. However, understanding what is taking place in Ukraine is more than a mere subject of depressing corruption and war. What you are looking at is how people respond to events, for when similar events unfold here, since we are all human, we will respond in a similar manner. There are those who see this as purely a capitalistic system that we live in today. We by no means enjoy such freedom. Communism owns everything and you work for the benefit of the state. Socialism is where you own the property, but the state dictates how much you are allowed to keep from your earnings. Capitalism is where we have the freedom to be what we want. You hear claims on how Hillary was for the middle class yet all the big bankers, hedge funds, and foreign governments supported her. Was this to help the middle class or themselves? Corrupt politicians pretend to care for people and then sell loopholes to the highest bidder. This is not capitalism – this is an oligarchy. Capitalism would be economic freedom and to achieve that it requires TERM LIMITS, end of political donations, and the end or over regulation such as there were 7 agencies that all approved the CDOs the bankers wanted. Not a single one reviewed anything with an eye on the economy. This is the two-tier level of importance in observing the world around you. WE WILL GET THROUGH THIS, if we just for once learn how everything works. Then and only then can we take the next step in evolution.